At the beginning of Jesus’ ministry, he’s hanging out at a wedding in Cana, not too far from his hometown in Nazareth. This is where he performs his first miracle which “revealed his glory” (2:11). John records other miracles like healing an official’s “ill”¹ son (4:46-54), healing a man who had been “ill”² for thirty-eight years (5:1-9), feeding five thousand followers (6:1-14), and healing a man born blind (9:1-7). With this resumé, providing wine at a wedding pales in comparison. Perhaps even more embarrassing for Jesus is that he performs this when the guests have already had their fair share: Everyone serves the good wine first, and then the inferior wine after the guests have become drunk. But you have kept the good wine until now (2:10).³ But I won’t leave you hanging. Perhaps this passage speaks to its First Century context as Jesus meeting the important needs of hospitality. Maybe what appeals to me is its simple mystery: Why was Jesus’ first miracle providing wine? Very truly, I tell you, unless you eat the flesh of the Son of Man and drink his blood, you have no life in you. 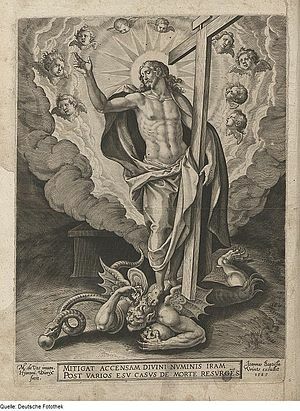 Those who eat my flesh and drink my blood have eternal life, and I will raise them up on the last day; for my flesh is true food and my blood is true drink. (6:53-55). This is quite intense and remains for me one of the most puzzling passages in John. The main difficulty I have with it is John’s use of sarx, here translated flesh. Elsewhere in the gospel he uses it in contrast to spirit, or spiritual things (eg. 1:13, 3:6, 8:15), so that flesh designates the human, material aspect. The difficulty is that interpreting sarx in the same sense here means that Jesus is asking his followers to eat his flesh and drink his blood, plain meaning, no interpretation needed. 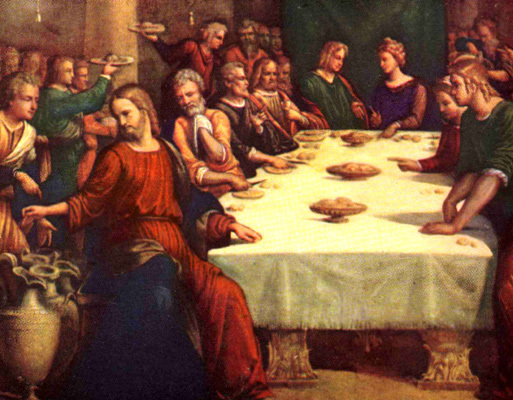 Whatever its meaning, its value (apart from the obvious as a contribution to theology around the Eucharist) is in presenting Jesus as an enigmatic prophet who continued to shock his listeners, including newly acquired followers and those close to him. The result is that most of the crowd desert him and he is left with the twelve (6:66-69). [“]I testify on my own behalf, and the Father who sent me testifies on my behalf.” Then they said to him, “Where is your father?” Jesus answered, “You know neither me nor my Father. If you knew me, you would know my Father also.” (8:18-19). Compare this with Jesus saying earlier that his testimony needs to be backed up by a secondary source (5:31). Basically, in this passage Jesus appeals to the Father as a witness to his messiahship and then continues by telling his audience they will not know the Father unless they know him! His proof runs on a paradoxical, internal logic. Further reading of the gospel will show that belief in Jesus is not closed. He provides signs (10:38), scripture testifies to him (5:45) and the Father is at work in people’s hearts (6:44). Regardless, the verses on their lonesome demonstrate the depth of Jesus’ words in John and the complex theology they deliver. When the wine gave out, the mother of Jesus said to him, “They have no wine.” And Jesus said to her, “Woman, what concern is that to you and to me? My hour has not yet come.” His mother said to the servants, “Do whatever he tells you.” (2:3-5). Returning to the wedding scene at Cana, a further point to be made about Jesus’ first miracle is that he is ostensibly not ready for it. We know that, despite Jesus’ hour having not yet come, he does perform the miracle sooner or later. It would be convenient to be able to say that Jesus performed the miracle an hour later, which is a comical interpretation at best. Could it be that Mary’s ‘prayer’ is answered in line with prophetic tradition?4 Another passage presents a similar quirk where Jesus’ brothers ask him to go to the Festival of Tabernacles and he gives a similar excuse but then later goes to the festival in secret (7:2-10).5 The second passage differs in that it shows Jesus as having a greater, more considered plan in place of one seen through the eyes of the flesh, but the point remains that he appears open to change with the circumstances in which he finds himself. Now is the judgement of this world; now the ruler of this world will be driven out. (12:30). John makes no small mention of Satan. He actually develops quite substantial demonology (satanology?) on him (8:44). But the most badass thing about John’s mentions of Satan is their connection to Jesus. He always approaches it from an ask-no-questions-your-time-has-come standpoint. So we get that Jesus will drive Satan out (12:30), but also that he has no power of Jesus (14:30), and even that he is already condemned (16:11). Combine this with Jesus’ comments on freedom from slavery to sin (8:34-36) and you’ve got a pretty solid Gospel. Peter and the other disciple set out and went toward the tomb. The two were running together, but the other disciple outran Peter and reached the tomb first. (20:3-4). One of my pastors first pointed this out to me. Why is it necessary to know, in the Good News of the Gospel, that one disciple outran another? To put things in perspective, said disciple is the same one who claims authorship (21:24). It was important to let two thousand years of readers in on the fact that one disciple was not quite as fast as the other. Of course, because the Bible is a ‘serious’ undertaking then we must undertake it seriously. Maybe the writer wanted to build on the theme of this disciple’s love for Jesus and Peter’s shame at having denied him. Maybe he was being careful to convey his account as historically and truthfully as it came to him. Either way, there is humour in the Bible and I think this is a great contribution. It fits into a wider tradition of unneccessary comic detail (eg. Judges 3:21-22). I couldn’t help but laugh either when I read about the number of fish the disciples caught in the miraculous catch, 153 (21:11). Who counts that kind of thing? When Mary came where Jesus was and saw him, she knelt at his feet and said to him, ‘Lord, if you had been here, my brother would not have died.’ When Jesus saw her weeping, and the Jews who came with her also weeping, he was greatly disturbed in spirit and deeply moved. He said, ‘Where have you laid him?’ They said to him, ‘Lord, come and see.’ Jesus began to weep. So the Jews said, ‘See how he loved him!’ (11:32-36). Along with the aforementioned text of Jesus listening to his mother, this passage also shows how Jesus reacted to the circumstances around him. At the risk of sounding a little polemical, to say that God foreordained Jesus to weep, or especially that Jesus knew he would weep is to miss one of the main points this passage conveys: Jesus’ humanity. On hearing the news about Lazarus’s sickness, Jesus appears cool, calm, and collected (11:6), even demonstrating his divine knowledge that Lazarus has died in this period of waiting (11:11). Despite this, along with the fact that he is going to raise Lazarus for the sake of his disciples’ belief (11:14-15), he is still overcome by his emotions when on site with the grieving family. Jesus said to the Jews who had believed in him, “If you continue in my word, you are truly my disciples […] If you were Abraham’s children, you would be doing what Abraham did, but now you are trying to kill me, a man who has told you the truth that I heard from God. [“] (8:31, 39-40). If Jesus was trying to gain followers then he was certainly doing a terrible job at that. After a decent conversation with some Pharisees, many of the people listening end up believing in him (8:30). But here’s the problem. He then turns to them and starts talking about the nature of discipleship, calling them slaves to sin (8:34), accusing them of planning to kill him (8:37) and going as far as labelling them children of the devil (8:44).6 Now how’s that for an induction process? They said to him, ‘What did he do to you? How did he open your eyes?’ He answered them, ‘I have told you already, and you would not listen. Why do you want to hear it again? Do you also want to become his disciples?’ (9:26-27). As with the text on Peter being beaten to the tomb, this can be read as a nice bit of humour added into John. Jesus has just healed the blind man and the Pharisees are questioning him to find out who healed him, as he has been healed on a sabbath. After the second question he asks them if they would like to become one of Jesus’ disciples. I see two interpretative possibilities here. The blind man may not have been fully onto it with social cues and so genuinely put the offer out to the Pharisees, in light of his life-changing experience (imagine having sight for the first time). But what if he too was poking fun at the religious elite? He knew how they would react and so wanted to ruffle their feathers a little. This makes sense in light of the continuing dialogue: The Pharisees do not want to accept the work that Jesus is doing among them, despite the obvious change Jesus has had in this blind man’s life and his connection with it (9:28-34). Then the Jews said to him, ‘You are not yet fifty years old, and have you seen Abraham?’ Jesus said to them, ‘Very truly, I tell you, before Abraham was, I am.’ So they picked up stones to throw at him, but Jesus hid himself and went out of the temple. (8:57-59). This is the thrilling conclusion to Jesus’ confrontation with his new believers (8:31ff). He has up until now been reasonably evasive of questions regarding his identity. Now, in the Temple at Jerusalem, Jesus tactlessly claims to be God,7 probably the highest form of blasphemy. What makes this all so dangerously exciting is it’s well-executed build-up from an earlier, more peaceable dialogue. It makes me smile and think he just said that! ¹Not ill in the sense that he’s got a cold, but something worrying in days before modern medicine. All scripture quotations taken from NRSV. ²Bruner’s commentary notes this is probably a paraplegic, made worse by his inability to look after himself and therefore lack of personal hygiene. ³Of course, the text doesn’t explicitly state the guests were drunk; it is only implied. I could also say that the law does not explicitly prohibit drinking; it is only implied (Deut 21:20). Take me up on this too because it would be good to argue out. The verses in Proverbs don’t count either. They instruct wisdom, not covenant responsibility. 4Interestingly, the name Mary is never used in John in reference to Jesus’ mother. 5Note that this passage uses time/kairos instead of hour/hōra. I’m not boss enough to say how significant this is. 6The most apparent meaning is that this discourse is engaged between Jesus and the new believers (8:30-31), although the text presents problems in that his accusations of them don’t line up with the idea of a believer. He is either challenging his believers to authentic deeper belief (the way I have read the passage here) or the discourse has been accidentally mixed in with something aimed at “the Jews” who yet don’t believe in Jesus. 7Cf. Ex 3:14, Ps 90:2. There is also a clear claim here to Jesus’ pre-existence. I heard that sarx, ‘the flesh’ is not so much about material life but life according to the way of the world. At least in Paul when he uses it as an ethical category. Still doesn’t clear up Jesus asking us to eat it. You might be able to ask Richard today. Throw him the curve ball! I suppose it doesn’t quite work as an ethical category for Jesus either, or does it? “The word became flesh and made his dwelling among us…” (1:14). It more designates the earthly in contrast to the heavenly: “What is born of the flesh is flesh, and what is born of the Spirit is spirit” (3:6).